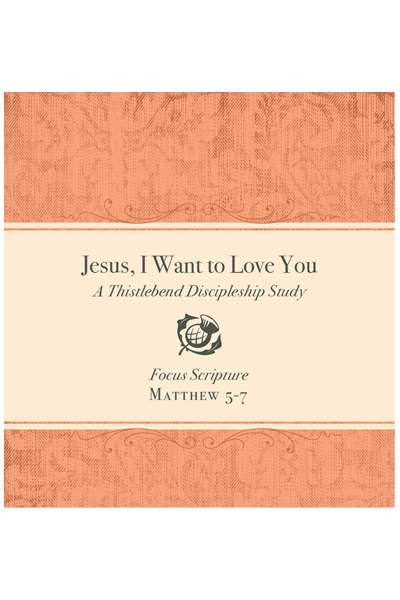 This nine-week study follows Jesus, I Need You and is based in the first seven chapters of Matthew, focusing primarily on the Sermon on the Mount. In Jesus, I Need You we came to know Jesus with an understanding we had not known before and realized our deep need for Him. In Jesus, I Want to Love You we will learn how to love Jesus fully in each and every area of our lives. We will be encouraged to continue to put aside the demands of our present day world and sit at the feet of our Savior and Teacher so we might truly hear His messages to us and be drawn into a radical love relationship with Him. We pray you will be blessed by this deeper study of God’s Word!